The Speaker Exchange® is a family-owned and operated small business located in Tampa, Florida and was established in 1977. We cater to clients from all over the world seeking speaker repair parts and speaker repair needs of all sizes, uses and manufacturers. As one of the nation’s largest service centers, our expert team is equipped to professionally recone, refoam, or relead loudspeakers, subwoofers and woofers, re-diaphragm tweeters and compression drivers, rebuild crossovers, recover speaker grills, and so much more! We specialize in pro audio speaker repair and home audio/home theater speaker repair. 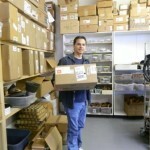 We sell the speaker repair parts that we use in-house via our online store and we ship worldwide. We sell loudspeakers, woofers, subwoofers, midranges, tweeters, compression drivers, diaphragms, recone kits, refoam kits, voice coils, horns, crossovers, amplifiers and electronic parts for most major brands including but not limited to: JBL, Electro-Voice, EAW, Mackie, Behringer, Klipsch, Polk Audio, KEF, Infinity, McIntosh, Adam Audio, Cerwin Vega, KRK, Peavey, QSC, Yamaha, Yorkville and many more. We are also an authorized warranty and non-warranty speaker repair service center for most of these brands. Since 1977, our speaker repair company established itself with a niche for fixing speakers and subwoofers when the industry was changing throughout the world. As a global business, The Speaker Exchange positions itself to address any and all inquiries regarding speaker repairs and speaker parts and any speaker needs. We are a small business offering you small business benefits with over 41 years of large scale experience. We are responsive to your needs. When you call, you can speak to a live person and often you can speak to that same person again and again. When you email during business hours, you get a same day response. You do not have to go through 10 layers to find someone who can make a decision. We actually do research for your hard to find questions and offer options and suggestions. The owner is on site working and trouble shooting for you. Cathy grew up in New York and moved to Florida in 1975 where she graduated from the University of South Florida with a degree in broadcasting. 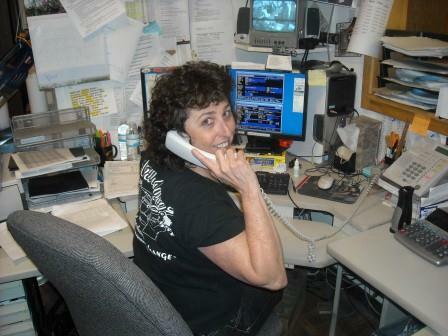 She and her husband Glenn started The Speaker Exchange in 1977 in the back of a Thoroughbred Music Store. In 1979, Cathy went to California for JBL speaker repair training and later received advanced training from Frank Spain, who was at the time the head of the Electro-Voice repair department. 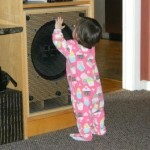 She has continued to advance her audio education through many CES, NAMM and CEDIA trade show classes. 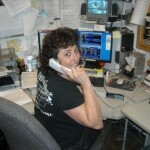 Cathy is your point of contact for everything related the The Speaker Exchange. Glenn and Cathy started The Speaker Exchange together in 1977. He then branched off to design, sell, and install home theater systems. 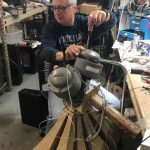 Now although he is still consulting on home theater design projects, he is back at The Speaker Exchange, and that is good news for all you vintage audio lovers. Glenn can repair or modify just about anything. 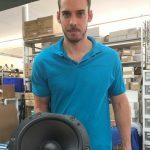 He has a passion for finding speaker repair solutions for vintage speakers and discontinued audio products. 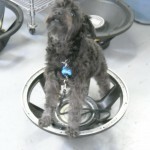 He excels at repairing Bowers & Wilkins tweeters and bass units that have been discontinued by the manufacturer. He knows a little bit (a lot!) about most everything and has been around long enough to remember the important details. 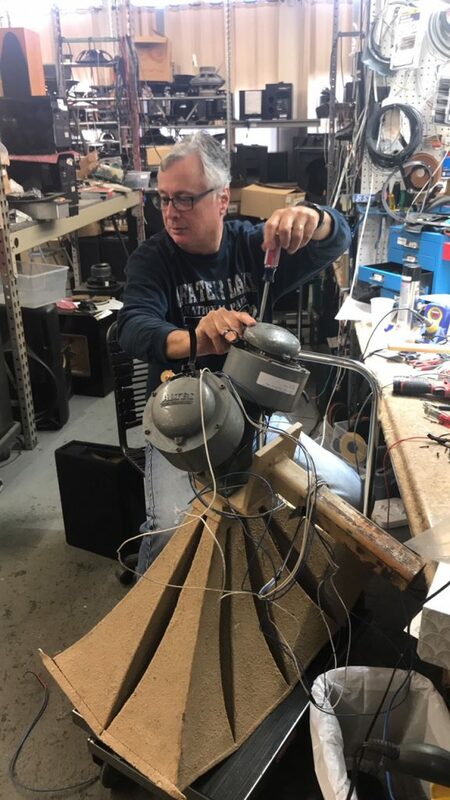 Glenn is at his best when he is making up special mods for vintage repairs or when he is designing a custom project, crossover, system. He hates to be bored so be sure to send him a challenge. 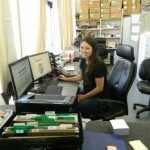 In 2011, Glenn and Cathy’s daughter, Melissa, joined the team! Owner operated takes on new meaning with Generation 2! Melissa is a native of Tampa and graduated from the University of Central Florida with a Health Services Administration degree. She started working at The Speaker Exchange after college as a temporary job while she searched for a career in healthcare. One thing lead to another, and the position grew to be more than anyone anticipated. Melissa found that she belonged at The Speaker Exchange. She enjoys being able to work with family, and colleagues that have become like family, and she knows she can make a difference. Melissa does a little of everything. 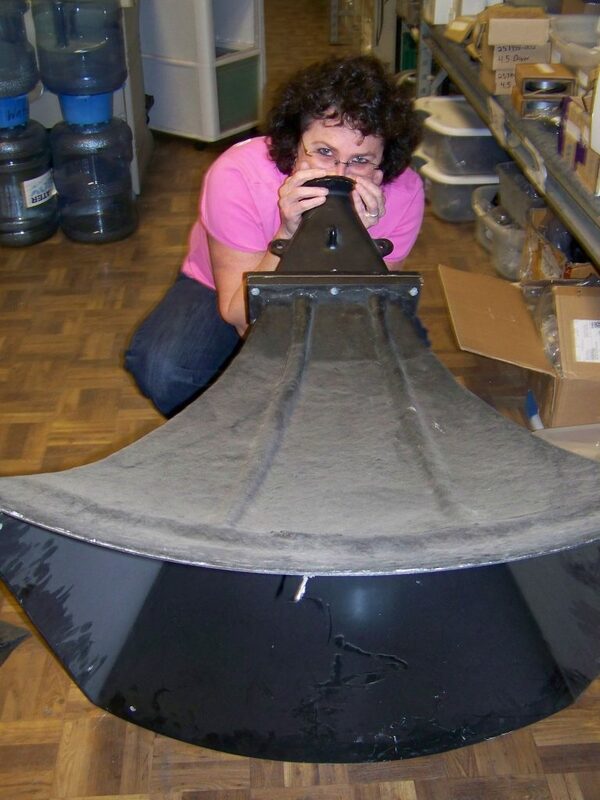 She answers all of the incoming email inquiries from our website, she is the go-to problem solver when there is a shipping issue or urgent parts need, and she generally makes sure operations go as they should. Randall started his career in electronics as a sonar technician in the U.S. Navy. His duties were technician, training coordinator and personnel supervisor. He left the Navy and took a position with Lockheed Martin as the final acceptance inspector for electrical components used in the Stealth B-2 Bomber. When that program ended, Randall joined Circuit City Service and their team of audio repair technicians. In his 7 years with Circuit City he was able to use his Navy training to excel at his job servicing a broad range of home and auto amplifiers, passive and powered speakers, as well as many other electronic units. Eventually he became supervisor of over 50 other technicians and was recognized as top technician many times. Randall brought his expertise to The Speaker Exchange in 2005. He started as sales manager but then moved laterally to service manager. 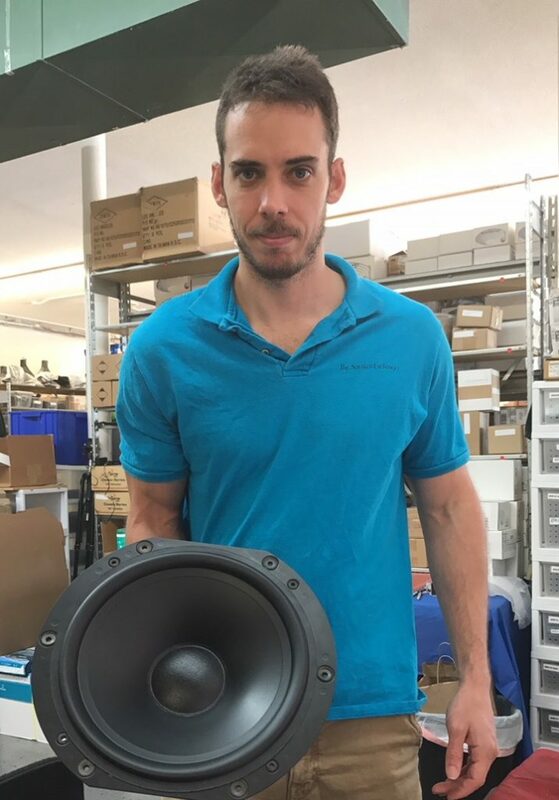 Today he oversees the speaker cabinet repair department and enjoys working on many different types of speakers and speaker brands. Randall is the father of two girls and grandfather to two beautiful baby boys. His long range plans include retiring on an island in the Caribbean where he plans to spend his days relaxing in an x-large Hammock dreaming about how to repair the next speaker. Gene has been reconing speakers for The Speaker Exchange since 1988! His interest in sound came from early exposure. His father who spent some time in the signal corps during his 27 year army career has a HAM radio hobby and his mother who is a true music lover always had it playing during his childhood. In high school, he became interested in speakers through his association with friends in local bands who often enlisted him to move, set up and tear down their equipment. He has family members who have been involved in a number of local bands so his roadie experience continues to grow. 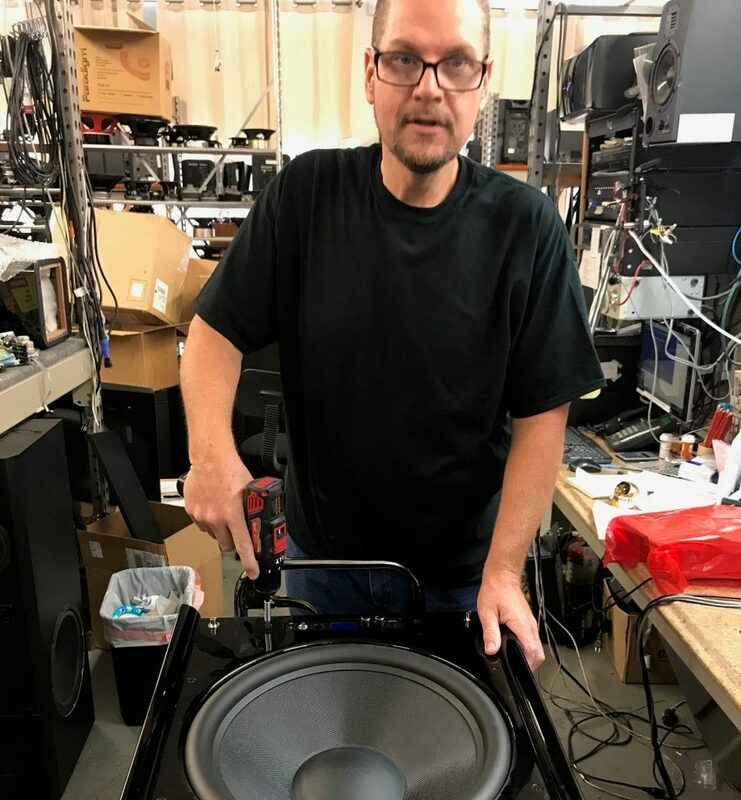 Gene has repaired thousands of speakers since he first joined The Speaker Exchange. 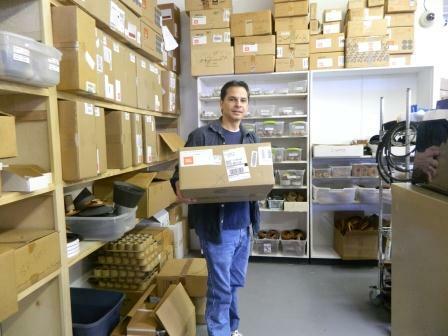 He supervises all reconing and refoaming work and controls speaker repair parts inventories. 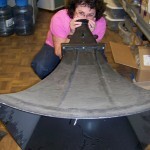 He has a delicate touch for the hard-to-do vintage speaker and Ohm F repairs and extensive knowledge of speaker repairs. Gene continues to be close with his ever expanding family. His long term goals are to complete the few courses he has left to receive his college degree and recone every speaker known to man at least once. Tom’s audio career began over 25 years ago. He started helping with car audio installations and then became a DJ for his local skating rink. In college, he worked as both a musician & DJ, but soon set his sights to the other side of the mixing board. He graduated with a Broadcast Media Degree from The Art Institute of Dallas. He then spent four years working as a broadcast DJ for Z-Rock & Satellite Music Network, before he left on a variety of band tour buses to see the world. Tom worked as a sound engineer, lighting tech, lighting director and rigger for Faith No More, Guns N Roses, Warrant, Slaughter, Marilyn Manson, Red Hot Chili Peppers and Metallica on their national tours. Eventually, Tom settled down and worked as a house engineer, installed architectural sound installations before he ran a small home-based business in Tampa. 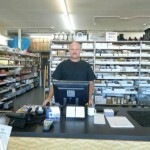 In 2008, Tom joined the Speaker Exchange and is now able to use his vast experience for Speaker Repairs and Sales. 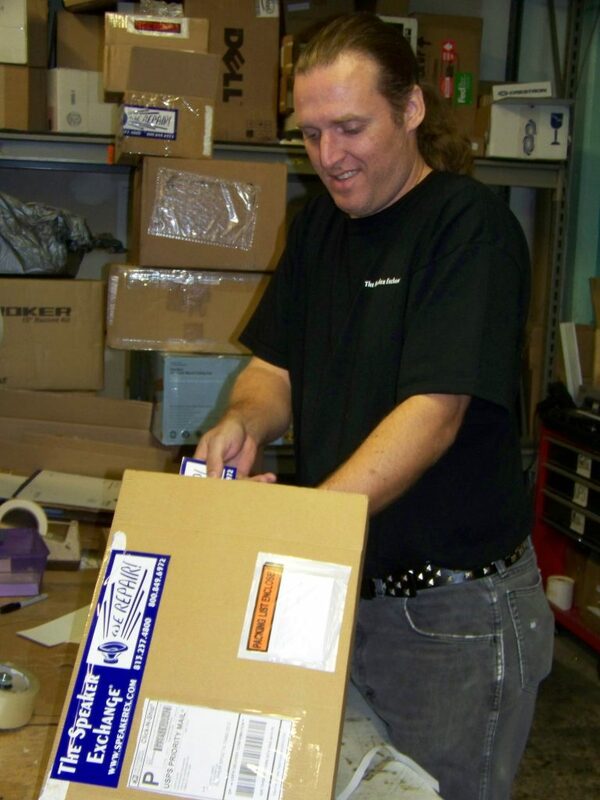 He took over managing the shipping department and makes sure that our products and repairs arrive safely to you. Tom is a single father of a two; both son and daughter. He is an avid Texas Hold ‘Em player & still occasionally works as a DJ. His future goal is to become ruler of the universe or 15 time World Series of Poker bracelet holder. Wayne and his wife moved to Florida in 2011 to escape the cold and snowy winters in upstate NY. At the time, Wayne was general manager of a top 100 audio video company. It was a job that he loved, but the warmth and sun of Florida called. Wayne started in the audio field in 1976 after a few years in the work-force and a scholarship to Crane School of Music in Potsdam. He worked his way through a few audio companies before starting his own sound and lighting in 1984. He continued this company through 2011, providing sound reinforcement and stage lighting to regional festivals, major touring acts, and local club settings in the Northeast. While running his own business, Wayne has always worked a “real job”, managing audio/video companies and gathering and learning as much as possible about electronics, video, and speakers. Wayne has been named to the Who’s Who registry twice, once in 1995-96 in Who’s Who among Outstanding Americans, and again in 2011-12 for Who’s Who among Executives and Professionals. He has been a member of the Society of Audio Consultants since 1976 and a charter member of the Rock and Roll Hall of Fame since 1984. Wayne loves anything associated with music (his wife is a classically trained pianist), and even though semi-retired from sound production, he still works as a sound engineer for the contemporary worship on Sundays at his local church. In his spare time, Wayne loves biking, boating, and cars, especially Corvettes as he was formerly the president of Adirondack Corvettes. Chris is Melissa’s husband (did we mention this is a family business?). Chris joined The Speaker Exchange team in 2012. Chris is our IT specialist. He has built all of our computers from the ground up and he oversees our network and server functionality. Chris is also a speaker repair technician. He recones and refoams speakers, repairs crossovers, builds custom tweeters, and he along with Glenn, specializes in our B&W repairs.